HAVE YOU EVER WORN SOMETHING YOU SHOULDN’T HAVE LONG TIME AGO? Posted in Uncategorized | Comments Off on HAVE YOU EVER WORN SOMETHING YOU SHOULDN’T HAVE LONG TIME AGO? DO YOU HAVE A DOUBLE BREASTED GREEN SUIT IN YOUR CLOSET? 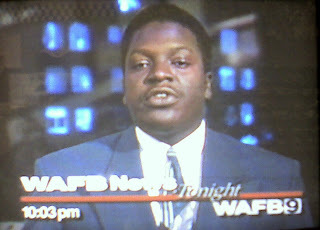 I was looking through some of my old video tapes from reporting in the early 90’s when I ran across one of the biggest mistakes in my life. It wore a deep green double breasted suit. Who wears green suits? My question is why didn’t anyone tell me, “Okay, Isiah it’s not Easter or the Chicago Pimp convention so go home and take off the big green suit.” Thinking back about 15 years ago I probably thought it was the bomb. Like a bomb went off at a paint company. I actually had the two shade green tie to match. Where was my direction or the television fashion consultants in Baton Rouge. Anyway, I wanted to know if you’ve ever wore something that you look back on today and say what was I thinking? Leave your comments here on The Insite. I don’t think anyone can beat my green double breasted suit! WHAT HILLARY CLINTON REFERRED TO DURING TUESDAY NIGHT’S DEBATE! Posted in Uncategorized | Comments Off on WHAT HILLARY CLINTON REFERRED TO DURING TUESDAY NIGHT’S DEBATE! CLEMENS COULD SOON BE THE TARGET OF A FEDERAL PROBE! 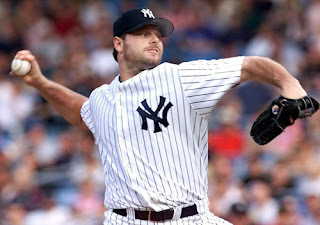 Posted in Uncategorized | Comments Off on CLEMENS COULD SOON BE THE TARGET OF A FEDERAL PROBE! COULD FACE A PERJURY CHARGE! A congressional committee asked the U.S. Justice Department to review whether pitcher Roger Clemens lied when he testified he never used steroids. The House Committee on Oversight and Government Reform sent a letter to Attorney General Michael Mukasey today requesting a perjury investigation relating to Clemens’s deposition and testimony for a Feb. 13 hearing on performance-enhancing drugs in Major League Baseball. “We believe that his testimony in a sworn deposition on Feb. 5, 2008, and at a hearing on Feb. 13, 2008, that he never used anabolic steroids or human growth hormone, warrants further investigation,” committee Chairman Henry Waxman and ranking Republican Tom Davis said in the letter. Joe Householder, a spokesman for Clemens’s legal team, didn’t immediately respond to an e-mail and telephone message seeking comment. WINE DRINKERS FOR OBAMA – BELIEVE IT OR NOT! 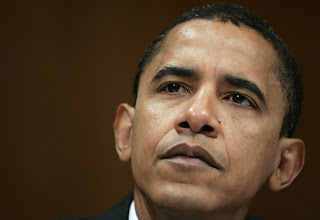 Posted in Uncategorized | Comments Off on WINE DRINKERS FOR OBAMA – BELIEVE IT OR NOT! FILL IN THE BLANK: ———– FOR OBAMA! Question: What other interesting groups can you come up with for Democratic Presidential candidate Barack Obama? I got a few but I’d better stay out of this. I leave it up to you all and let’s not get vulgar here on the Insite! COME ON SENATOR, LET’S DEBATE THE ISSUES BEFORE THE PUBLIC! 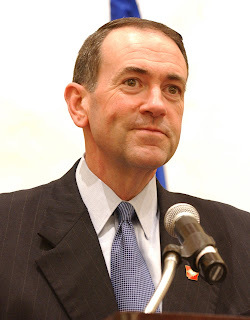 Posted in Uncategorized | Comments Off on COME ON SENATOR, LET’S DEBATE THE ISSUES BEFORE THE PUBLIC! HE WANTS IT DONE BEFORE THE MARCH 4TH PRIMARIES! It’s been my pleasure sharing the stage with you this past year, as we have worked to promote our ideas to lead this county. I have the deepest respect for you as a person, politician, and an American hero – and I appreciate the way you have run such an issue-based, positive campaign. Now that the race for the Republican nomination is down to just the two of us, I believe this is the time for a real discussion about our vision for the future of this great country. I encourage you to join me in a Lincoln Douglas-style debate so that voters can better understand our views on critical issues such as health care, education, energy independence, terrorism and national security. Our Democratic counterparts, Senators Barrack Obama and Hillary Clinton, have had recent opportunities to underscore the differences in their positions. It seems only fitting to me that Republican primary voters are offered the same. I look forward to working with your staff to schedule this as soon as possible. I would suggest we set the debate before the March Fourth Primaries. It is my hope that one of the TV networks would offer to sponsor such an event. TWO ARRESTED FOR MEDICAID FRAUD IN HOUSTON! Posted in Uncategorized | Comments Off on TWO ARRESTED FOR MEDICAID FRAUD IN HOUSTON! BOTH CHARGED WITH FIRST DEGREE FELONIES! Two suspects were arrested in Houston and Port Isabel last week on Medicaid fraud charges. According to indictments issued by a Harris County grand jury, both were involved in a chemical dependency treatment scheme that defrauded the Medicaid program. 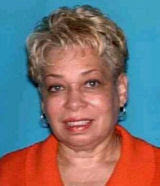 Robye J. Jackson, 66, of Missouri City, was arrested at her residence by officers with Texas Attorney General Greg Abbott’s Medicaid Fraud Control Unit (MFCU) and the Fort Bend County Sheriff’s Office. 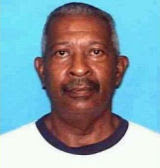 Darron F. Broadus, 61, of Port Isabel, was taken into custody by MFCU officers and Port Isabel Police. Both are charged with theft by a governmental contractor of more than $100,000, a first-degree felony. Bond for the two was set at $1.8 million each. The pair operated Choice Program, ostensibly a Houston-based chemical dependency treatment facility for young people. From January 2001 through June 2004, Choice Program billed Medicaid $1.2 million and was paid $987,000, based on the defendants’ representations they conducted legitimate treatment services. However, after interviewing almost 70 patients, parents, guardians and former staff members of Choice Program — and reviewing numerous client files – MFCU officers determined that Medicaid paid at least $376,000 for treatment sessions that never occurred. Harris County Assistant District Attorney Kaylynn Williford will prosecute the case. IN THE MIDDLE OF A WINNING STREAK YAO COULD BE OUT FOR THE SEASON! Posted in Uncategorized | Comments Off on IN THE MIDDLE OF A WINNING STREAK YAO COULD BE OUT FOR THE SEASON! YAO MING’S INJURY COULD THREATEN THE SEASON! 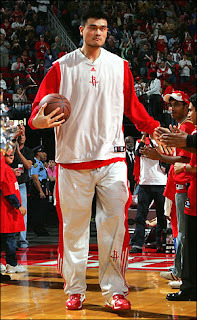 Fox 26 Sports Anchor Mark Berman says Houston Rockets’ star Yao Ming could be out for the season. This comes after he is injured with a reported stress fracture. No official word from the Rockets just yet. But this is an inopportune time given the Rockets are in the middle of a winning streak. So far they’ve won 12 games in a row. No word yet on the final disposition of the star player. Do you think this will hurt the rest of the basketball season! Harris County Sheriff’s Office Awarded CALEA Flagship Status! Posted in Uncategorized | Comments Off on Harris County Sheriff’s Office Awarded CALEA Flagship Status! THE BIG AWARD HARRIS COUNTY DID NOT SEEK! After reviewing the assessors’ report on the Sheriff’s Office, Steve Mitchell, CALEA Program Manager for Harris County, was so impressed that he recommended that HCSO be awarded CALEA Flagship status. According to the CALEA website, “The Flagship Agency Program was introduced at the 2004 Fall Conference to acknowledge the achievement and expertise of some of the most successful CALEA Accredited public safety agencies, and also to provide “flagship examples” to assist other agencies. CALEA staff selects Flagship Agencies, by agency type and program, based primarily on their past performance. Selected agencies are invited to exhibit at a CALEA Conference to showcase their agency materials, offer networking opportunities, discuss issues, and offer suggestions based on their experiences with CALEA Accreditation.” The Harris County Sheriff’s Office will officially be awarded its Flagship status on Saturday, March 15, 2008, at an awards ceremony in Atlanta, GA. The Harris County Sheriff’s Office attained its first accreditation through CALEA on March 23, 2002, after a thorough review of departmental policies and practices by CALEA assessors. HCSO was awarded its first reaccreditation on March 23, 2005. Following their most recent visit in December, 2007, CALEA assessors determined that HCSO continues to meet or exceed the Commission’s standards, and they recommended that HCSO be reaccredited. The Harris County Sheriff’s Office remains the largest Sheriff’s Office in the nation to be accredited through CALEA. In February, 2004, HCSO became the 1st County Jail in the nation to be nationally accredited in inmate education; accredited through Correctional Education Association (CEA). HCSO’s Communications Division achieved international accreditation in 2006 through the Association of Public-Safety Communications Officials-International, Inc. (APCO) in conjunction with (CALEA). HCSO’s Regional Firearms lab has been accredited through the American Society of Crime Laboratory Directors since January 2006. HCSO’s Health Services has been continuously accredited through the National Commission on Correctional Health Care (NCCHC) since 1991. 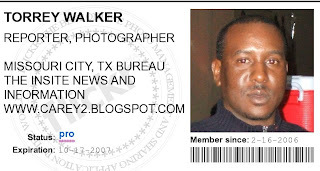 NATIONAL ASSOCIATION OF BLACK JOURNALISTS REGIONAL CONFERENCE COMING TO HOUSTON! Posted in Uncategorized | Comments Off on NATIONAL ASSOCIATION OF BLACK JOURNALISTS REGIONAL CONFERENCE COMING TO HOUSTON! CNN’S ROLAND MARTIN WILL SERVE AS A GUEST SPEAKER! 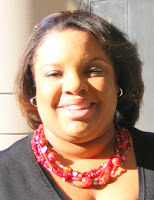 Changing Industry,” on Saturday, April 12, 2008 at Texas Southern University’s Tavis Smiley School of Communication. The program features a Student Boot Camp in a multimedia environment designed to offer the next generation of journalists an edge as they find their places in this fast-changing world of communication. Our luncheon speaker, Roland Martin, is a multimedia journalist whose career embodies this year’s theme. Martin, a nationally syndicated columnist and Chicago-based radio host, joined CNN last year as a contributor to several programs on-air and online. He currently provides commentary and analysis on the presidential campaigns. The regional conference workshops will also help both young and seasoned professionals steer their careers in a new direction. 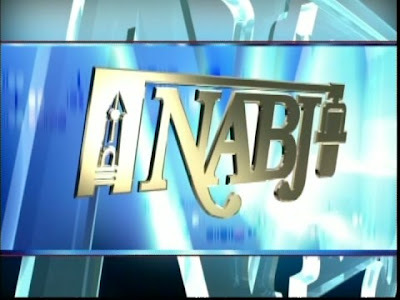 The registration fee is $40 for NABJ members and $65 for non-members. Student members can register for just $25. All other students can attend for $40. Registrations processed online, via fax or credit card will be accepted through Wednesday, March 19. All other registrations will be accepted at the conference at on-site rates. 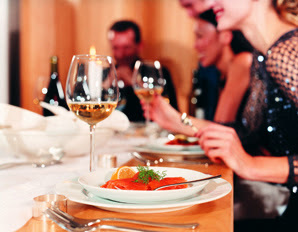 Guests who would like to attend the luncheon only can buy tickets. They will go on sale soon. INSITE SCAM ALERT: THE U-K BASED SCHEME TO GET YOUR MONEY! Posted in Uncategorized | Comments Off on INSITE SCAM ALERT: THE U-K BASED SCHEME TO GET YOUR MONEY! 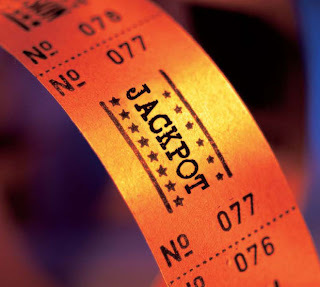 TORREY ‘T-DUB’ WALKER SAYS IT’S NOT LIKELY YOU’LL GET THE BIG JACKPOT! Insite Street Team Member warns you of a new scam making the rounds on the internet. AMOUNT WON: £500,000.00 (Five Hundred Thousand Great Britain Pounds). £500,000.00 (Five Hundred Thousand Great Britain Pounds). 4. Age:………. Date of Birth:……………..
MasterCard® / Microsoft® Mega Jackpot. Posted in Uncategorized | Comments Off on HPD SETTLES RETALIATION LAWSUIT! THE CITY WILL FORK OVER $155,00 FOR THIS CASE! The city of Houston has settled with former police Sgt. 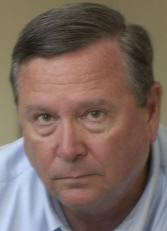 Michael L. Cox, whose federal retaliation lawsuit alleged that he was fired for backing the sexual harassment claims of a female motorcycle officer. The tentative $155,000 agreement must be approved by the Houston City Council. The parties came to terms during a mediation last week and have three months to seal the deal. 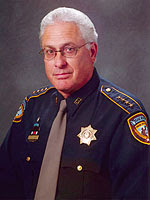 Cox’s suit, filed in 2004, claimed Houston Police Department brass manipulated the investigation that led to his termination. Unlike the female officers who claimed sexual harassment, Cox, 62, of Spring, resolved his case out of court. A trial was set for next Monday. The city appealed a $600,000 jury verdict awarded to Beth Kreuzer in 2005, but a federal appeals court upheld the decision last summer and tacked on another $315,000 in attorneys’ fees. That case marked the third successful sexual harassment lawsuit won by Houston lawyers Katherine Butler and Margaret Harris on behalf of a female HPD officer. Cox’s lawyer, Andrew Golub, said his client spent six months off the job and was unable to accept lucrative, off-duty work until an arbitrator reinstated him. Cox, a 35-year veteran, retired from the force in 2006. Golub declined to say more until the settlement is final. Lawyers for the city could not be reached for comment. THEY’RE HITTING US RIGHT IN THE POCKETS! Posted in Uncategorized | Comments Off on THEY’RE HITTING US RIGHT IN THE POCKETS! 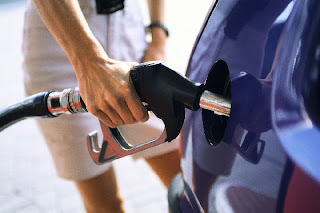 WHAT ARE YOU DOING TO SAVE ON GAS? Houston retail gasoline prices hit an all-time high today as the cost of $100 oil finally trickled down from the pipeline to the pump. The average price for regular unleaded gasoline in the Houston area is $3.045 per gallon, according to data compiled by AAA, beating the $3.042 hit last May 23. San Antonio set its own record yesterday, at $3.007 per gallon, but dropped slightly today to $3.005, while Dallas’ price today of $3.040 per gallon is short of its record from last year of $3.062. Nationwide the average price was $3.142 per gallon, still short of the record $3.22 set last May. The record isn’t due to supply shortfalls — U.S. gasoline inventories are the largest in 14 years. Rather they reflect high oil prices, which account for about half of price of a gallon of gasoline, matriculating through the supply chain.